This family-friendly Petaling Jaya hotel is located in the business district, within 2 mi (3 km) of 1 Utama and The Starling Mall. 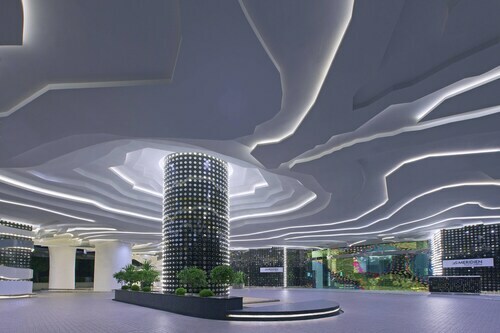 Atria Shopping Gallery and Curve Shopping Mall are also within 3 mi (5 km). 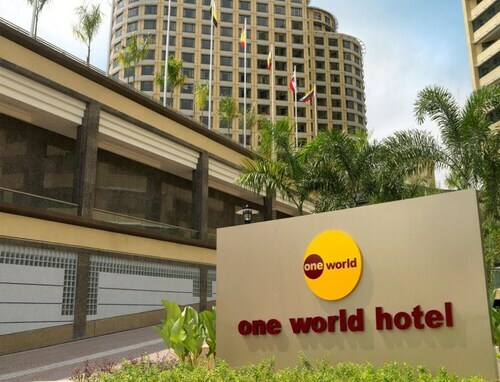 Situated near the airport, this hotel is 2.1 mi (3.3 km) from University of Malaya and 3 mi (4.9 km) from The Starling Mall. Mid Valley Mega Mall and Sunway Pyramid Mall are also within 6 mi (10 km). Asia Jaya Station is 6 minutes by foot and Taman Jaya Station is 15 minutes. 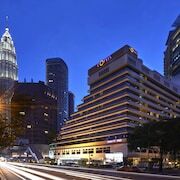 Situated in the heart of Kuala Lumpur, this 5-star hotel is a 5-minute walk from shopping at Bikit Bintang and 3.7 km (2.3 mi) from Merdeka Square. 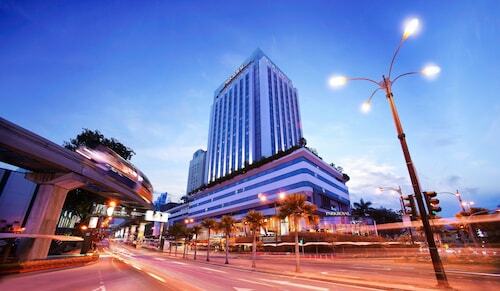 Bukit Bintang Monorail and MRT stations, as well as Imbi Station are all within a 7 minute walk. 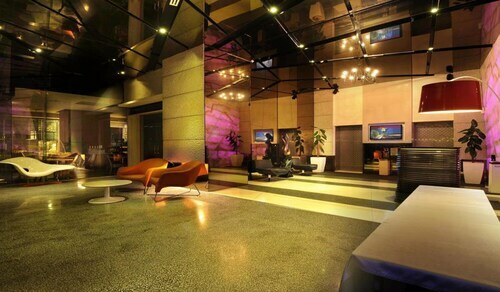 Situated in Subang Jaya, this hotel is within 1 mi (2 km) of Subang Parade and Empire Shopping Gallery. Sunway Pyramid Mall and Sunway Lagoon Theme Park are also within 3 mi (5 km). Kuala Lumpur Subang Jaya KTM Komuter Station is 11 minutes by foot and SS 15 is 13 minutes. 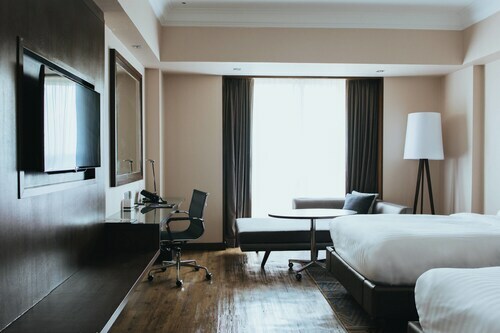 This family-friendly Subang Jaya hotel is located in a shopping district, within 1 mi (2 km) of Taylor's College and Empire Shopping Gallery. Sunway Pyramid Mall and Sunway Lagoon Theme Park are also within 3 mi (5 km). Kuala Lumpur Subang Jaya KTM Komuter Station is 20 minutes by foot and SS 15 is 20 minutes. Situated in the suburbs, this luxury resort is 0.5 mi (0.8 km) from Saujana Golf and Country Club and 2.4 mi (3.9 km) from Paradigm Mall. 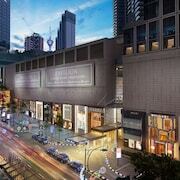 Sunway Pyramid Mall and Empire Shopping Gallery are also within 6 mi (10 km). 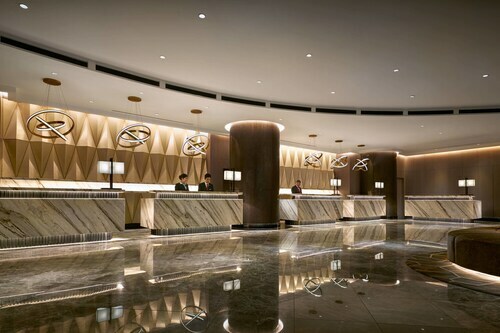 This family-friendly Putrajaya hotel is located near the airport, 0.6 mi (1 km) from IOI City Mall, and within 6 mi (10 km) of Alamanda Putrajaya and Putra University-Malaysia. Putra Mosque and Malaysia Agro Exposition Park Serdang are also within 6 mi (10 km). This family-friendly Kuala Lumpur hotel is located in the entertainment district, within a 15-minute walk of Ampang Park and Royal Thai Embassy. Petronas Twin Towers and KLCC Park are also within 1 mi (2 km). 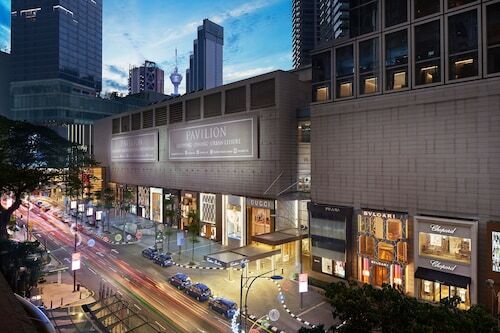 Ampang Park Station is only a 4-minute walk and KLCC Station is 13 minutes. 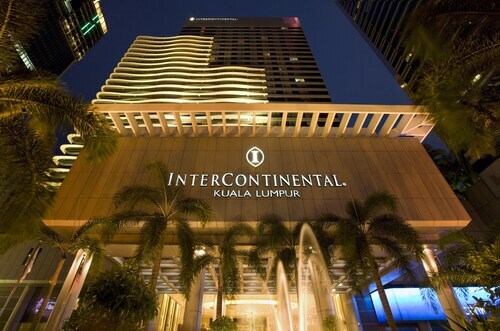 Strategically located a few steps from Kuala Lumpur's main attractions. Petronas Twin Tower and Central Market. The KL Monorail links at Pavilion and Berjaya Times Square. 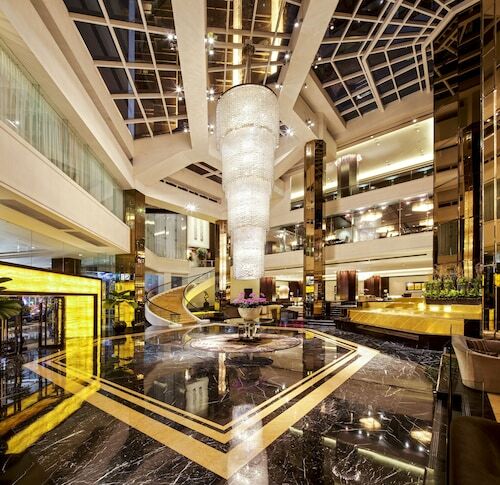 When love is in the air, you’ll find inspiration at one of our Kuala Lumpur wedding hotels. Tie the knot with personalized ceremonies ranging from intimate affairs that keep it simple to nuptial extravaganzas with all the sugar and spice. The blushing bride and out-of-town visitors alike will be swept off their feet by the convenience and value of on-site accommodations. The special day will be unforgettable for both the sweethearts and guests at one of the wedding hotels in Kuala Lumpur. Gorgeous landscapes, beautiful indoor spaces, special bridal suites, and amazing arrangements are just some of the options to choose from. Enjoy a stunning ceremony surrounded by friends and family, then retire to the reception room for a fun night of toasts and treats. Feel free to waltz the night away, knowing you’ve found a gem of a deal. You’ll live happily ever after when you choose from Travelocity’s selection of the best wedding hotels in Kuala Lumpur. Find that perfect combination of romance and flair and add your signature style to make it your own. Our customer service and Price Guarantee are just the icing on the cake. Book with us so on the big day, you can go and smell the roses—we’ve got it covered. Great location. The hotel is in a shopping mall which had many great restaurants and a supermarket, making it very convenient for guests. 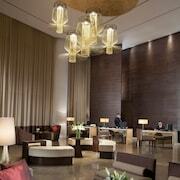 Close to the towers and metro, excellent hotel!! The suite size and comfort of the beds was excellent. I came to the hotel after 24 hour flight around 10:00 am. 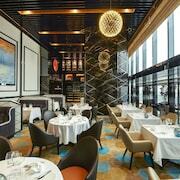 I had requested an early check-in and was hopping to get a room as soon as possible. The guest service lady at the desk was busy with other concerns than my request. She said there are rooms available but she will keep me in the room that I am in and I have to wait for it to be cleaned. I asked her to change my room if there is something ready she said to wait at the lobby. Normal check-in time is at 2:00 pm I check-in at 1:15 pm. I went to the room and the bathroom smelled so bad I was too tired to call took a shower and called later in the afternoon. No one showed up, called the next day and the maintenance came did something and called the housekeeping to do the cleanup. No one showed up and I had to do the cleaning, in matter of few hours the smell came back. Called back and so many times after that but no one came to fix the problem. I had to use the lobby bathroom as i couldn't cope with the odor. I am not sure how this hotel have such high ratting but my experience was nothing but a nightmare. I will never recommended for anyone . 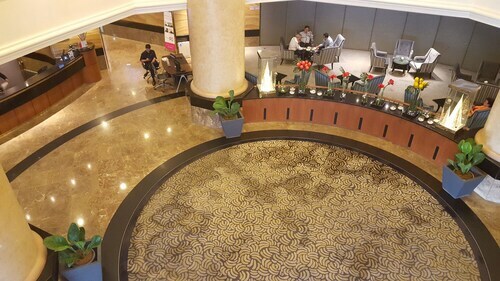 Hotel location , nice clean rooms , good breakfast and friendly staff made our Vist to KL very pleasant and we enjoyed the city.